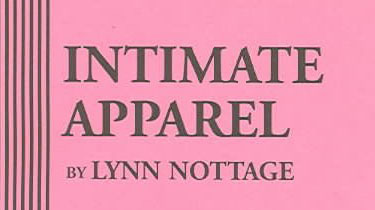 Intimate Apparel is set in Harlem in the 1930s. The text calls for one of the characters to play ragtime piano live on stage. In writing the music, I wanted to retain the feel of ragtime, but also reflect the image of the scenery, which seemed to float, suspended from the ceiling. This music is very loose in terms of key, resulting in music that feels a little loose, a little drunk. This piece is a quick rag. This piece is a slow drag. This piece is a slow drag, and was written for the section of the play when the character is being seduced by a man straddling her from behind. I wrote the right hand line in such a way that the character can reach behind her to touch her seducer every other bar, creating another opportunity for characterization in the scene.